This weekend I needed a quick side dish to go with grilled burgers. I had all the ingredients on hand to make this delicious salad. I found the recipe on GreenLiteBites, AND she’s a Weight Watcher. One serving (half the salad – a huge portion) is 6 Points Plus. Toss all the ingredients together and chill for at least 20 minutes, allowing all flavors to merge. 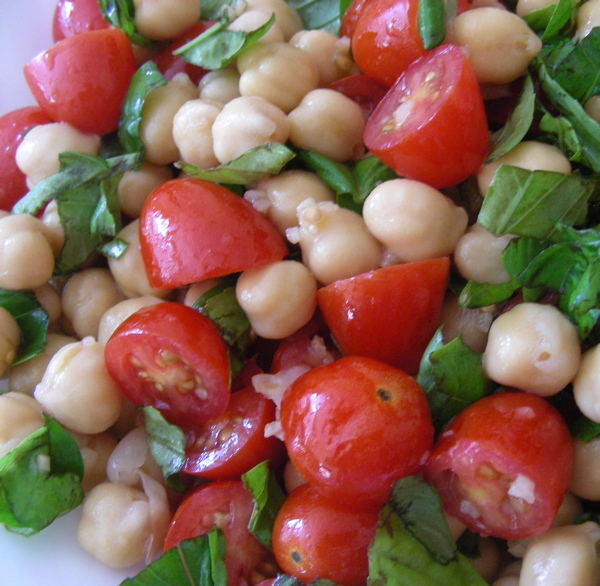 Posted in Anita K Greene, Author, Food and tagged Chickpea, Fresh basil, olive oil, Salad, Tomato Salad. Bookmark the permalink. 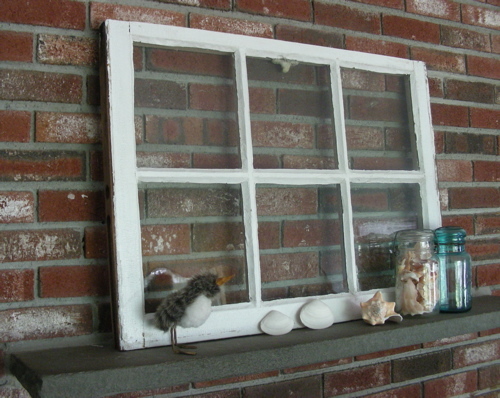 The chipped and peeling old window I brought home from my neighbor’s yard sale is on the mantle. My original plans included a garland but time just hasn’t been on my side. With the end of August looming the coastal theme will soon disappear so here are ‘the bones’. I bought the little sandpiper bird years ago at a craft fair. It’s made of fake fur and has a leather bill. The clam shells are from local Rhode Island beaches. Can anyone go to the beach and not collect treasures? The conch shell dates back to my senior year of high school and my trip to St. Thomas, Virgin Islands. The trip was a graduation present from my employers, Mr. and Mrs. Sullivan. They paid for the air fare and I stayed in their winter home with them for an entire week. What an adventure. The conch shell is from a day of boating and snorkeling. 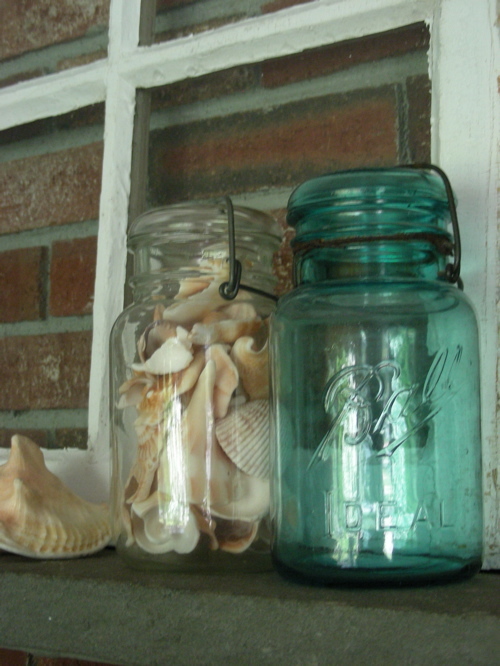 The shell pieces in the jar were collected on Sanibel Island, Florida during a family vacation. 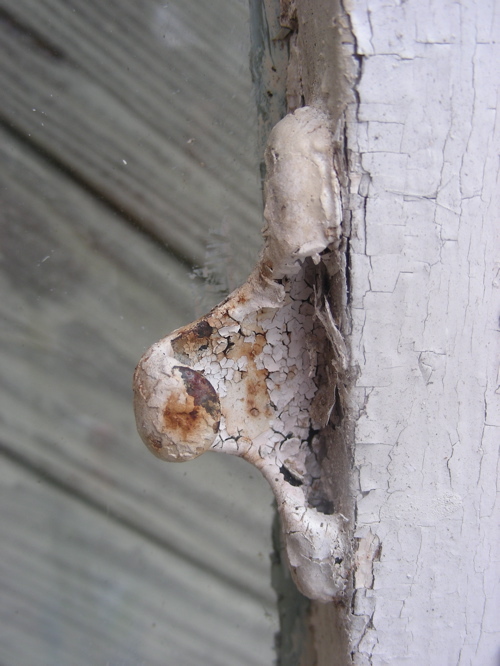 Even broken, the soft colors of the tumbled bits of shells are appealing. As the season begins to change so does the late afternoon light. The shadows in my dining room are longer and muted. Soon my baskets filled with seashells, beach stones and sea glass will be tucked away. Another summer is winding down and that gives me a twinge of sadness, but not for long. Pumpkins and the vibrant colors of fall are just around the corner. Posted in Anita K Greene, Author, Home, Quote, Writer and tagged August, Beach, Coastal, Conch, Florida, Mantle, Rhode Island, Sanibel Island, St. Thomas, Virgin Islands. Bookmark the permalink. I’m on the Potter’s wheel. Some days spinning until I’m dizzy and disoriented. Other days, due to a flaw that needs correcting, I am mushed into a lump. More spinning… more prodding and pressure. I wanted to be a teacup. But my dream was imperfect. The Potter has a different plan. Trusting his skilled hands to create something more beautiful than I can imagine. 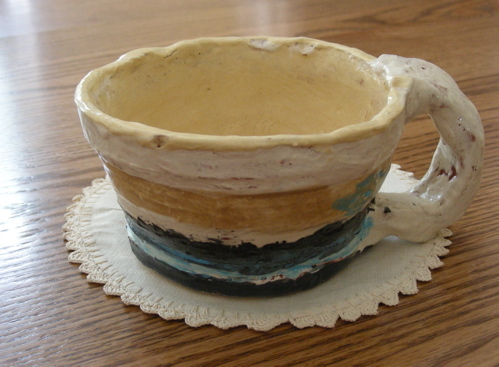 Posted in Anita K Greene, Author, Inspirational, Writer and tagged Ceramic Art and Pottery, God, Potter's wheel. Bookmark the permalink. 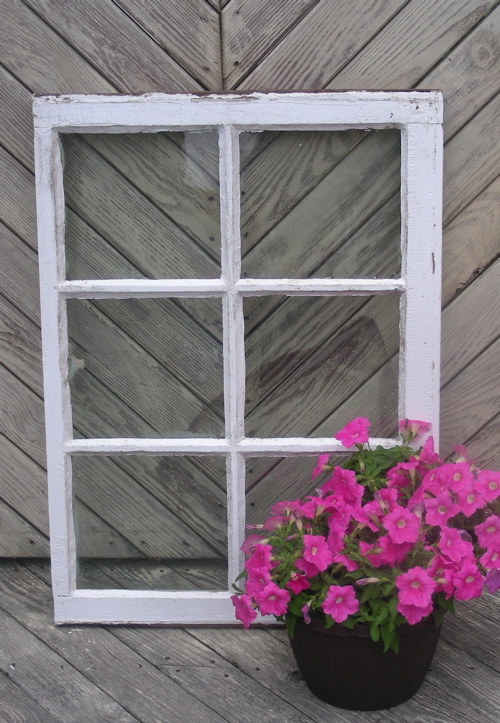 Pinterest introduced me to the many ways to use old windows. Finally! I have my very own. I found it next door at a yard sale. Squee! Old Roady and Son gave me puzzled looks when I walked in with my treasure. The response to my explanation was a well executed eye roll (worthy of an Olympian) and a quiet “I wondered what you were going to do with that”. I’ve brushed, washed and polished. Next week – the reveal! Posted in Anita K Greene, Author, Home, Paper craft and tagged Fireplace, interior decorating, Mantle, old window, shabby chic, Weight Watchers. Bookmark the permalink.